First cultivated in Europe, Broccoli yields a very high nutritive value. It is a very versatile veggie and can be used to make a number of dishes. 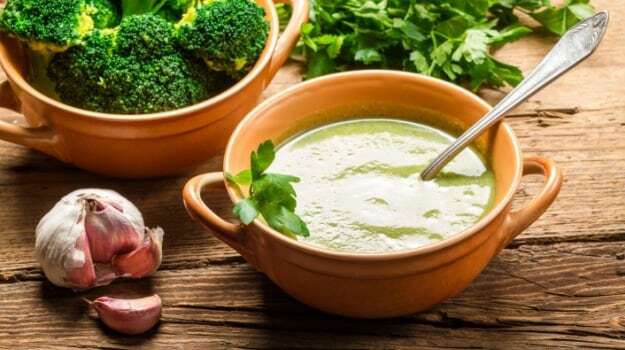 Broccoli Recipes- Most often considered to be an exotic vegetable, broccoli draws resemblance to cauliflower, a regular vegetable in almost all Indian households. Broccoli is actually part of the cabbage family and its name comes from the Italian word "broccolo", the flowering top of the cabbage plant. It is said that broccoli was first cultivated about 2000 years ago in Europe and was brought to other countries by Italians. 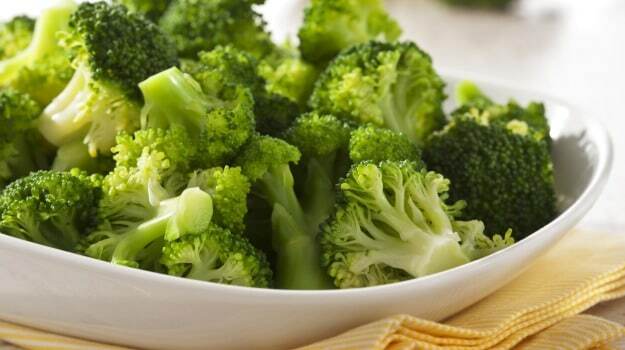 Broccoli is one of the most nutritious vegetables and rather exotic with dark green, crisp and sturdy florets. It is one of those unique vegetables that have a colourful and well documented history. And President Barack Obama would agree with our analysis. Some would say broccoli is boring but that is far from reality. Broccoli is juicy, fresh, firm and needs to be cooked right. 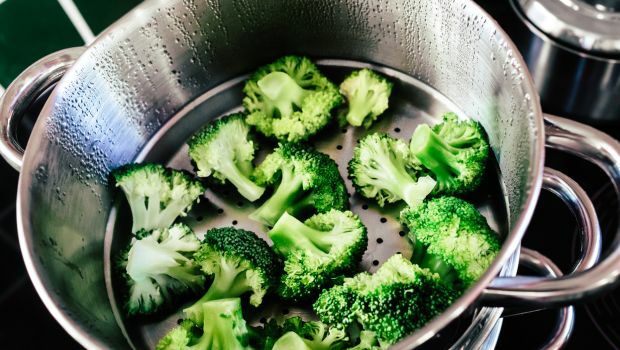 Plonking broccoli in boiling water breaks down its cells faster than other cooking methods. It also creates an odd smell. So if you're short on time, dice the broccoli, lace it with olive oil and salt and throw it in the oven.You could also grill, saute or bake broccoli florets. After cooking broccoli make sure you let off steam and let the florets absorb the flavour and not get soggy. 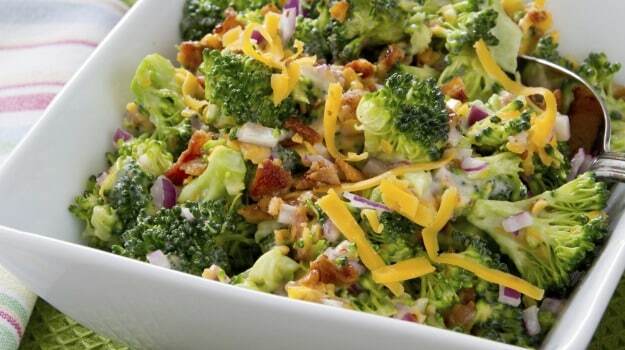 Broccoli clubbed with fresh, creamy cheese to prepare an easy, no-fuss, hassle-free bake. A cheese, creamy and delicious meal option to prepare at home. Kids would never know how much of a healthy veggie they actually had in this easy broccoli recipe! Crispy broccoli florets, celery, carrots and bell peppers tossed together and drizzled with a French dressing in this refreshing salad. Chicken in smooth buttermilk is cooked to perfection and served with chilli and garlic sauce, almond flakes and a huge portion of freshly grilled broccoli. 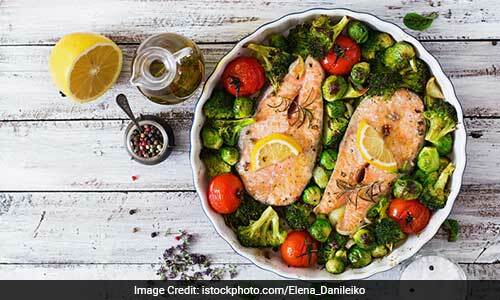 A perfect meal for one that you can easily prepare at home. 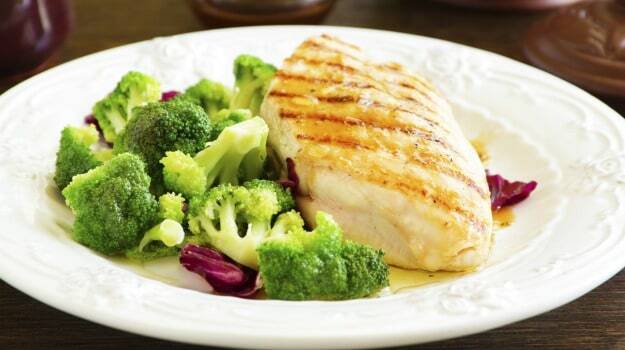 Chicken and Broccoli makes for a powerhouse of nutrients. Tamarind, pepper, masalas, curry leaves and 20 minutes is all you need for this gorgeous broccoli. It is delicious, flavourful and just too easy to cook. 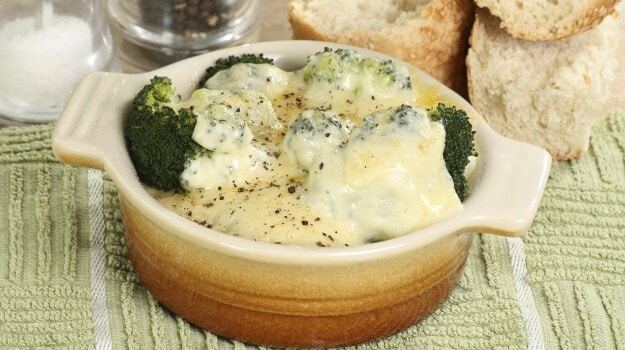 A creamy broccoli sauce, some glazed and grated cheese, bread crumbs and melted butter. 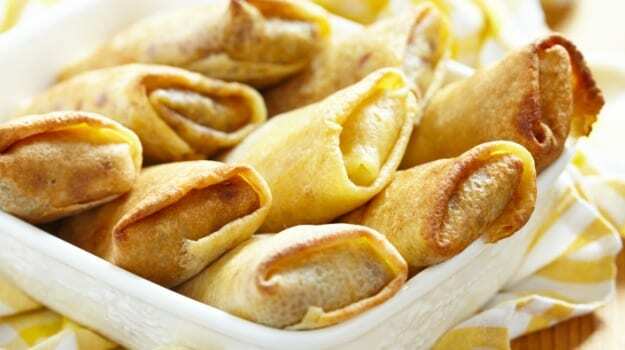 Layers made of thin crepes, smeared with sauce, one over another, sprinkled with grated cheese, bread crumbs and melted butter, baked golden. Broccoli Crepes are great for breakfast. 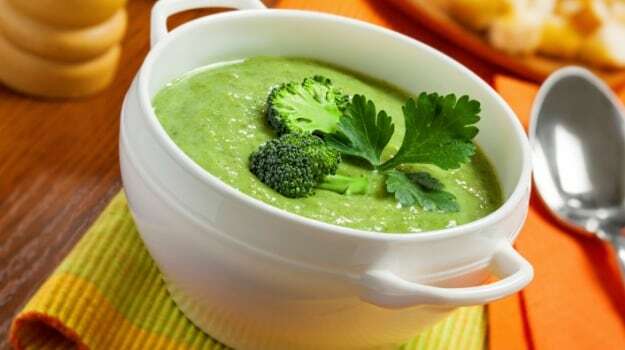 Soups are always a great option and when you have a healthy veggie such as broccoli, it is all the more better. Thick, creamy, healthy and perfect to tuck in with during winter. 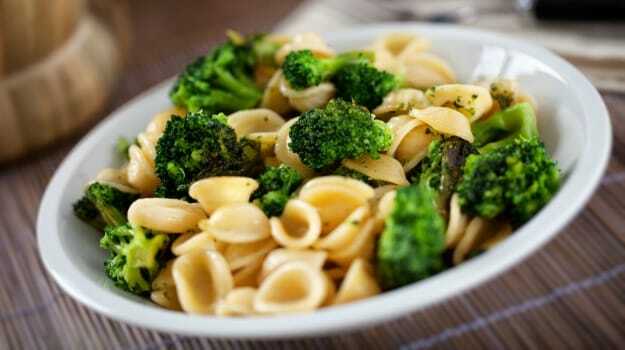 With oodles of cheese and chilli, this broccoli pasta makes for a delicious treat of a meal. 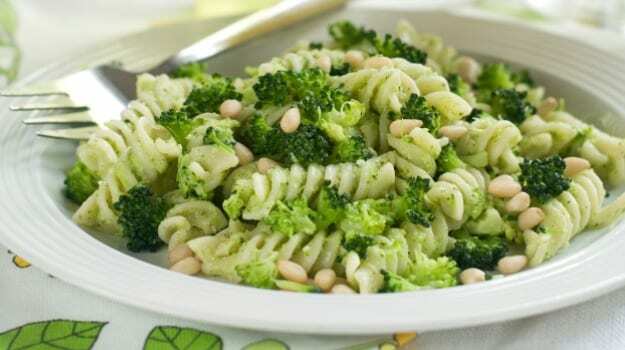 Broccoli, chilli, cheese and pasta is all it takes to make this 15 minute meal. Quick, easy and absolutely satisfying. Steamed salmon covered with a blanket of onions, garlic, ginger and groundnut oil. Paired with blanched broccoli that is tossed with sesame seeds, soy and ginger dressing. Yellow and red peppers, broccoli and spring onions, all tossed together with some mild seasoning and crunchy apricots. 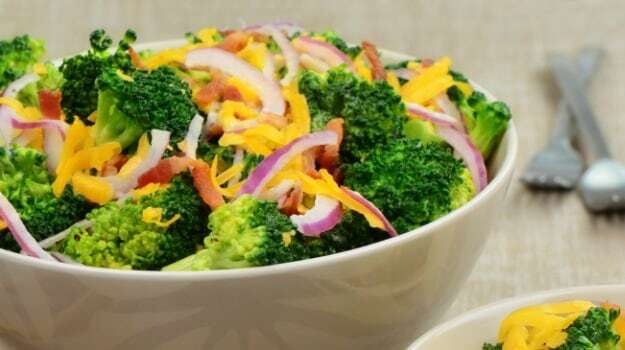 With a delicious dressing in place, this salad is great for broccoli lovers. Broccoli and bell pepper salad. A French soup with a spicy Asian twist. 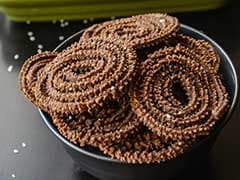 It is a delicious treat to savour during the winter season. The goodness of broccoli tossed with the exotic wasabi. This incredibly easy pasta salad recipe will get you hooked. Tip in some fresh herbs like parsley and basil for some added flavour, or a dollop of cream for some indulgence. 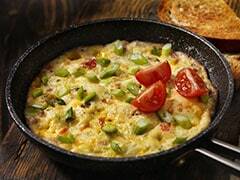 Perfect for a breakfast or light dinner. This pasta salad is a nutritious bowl of whole meal. With so many of amazing broccoli recipes to try, this flowery vegetable doesn't seem to be anymore boring. 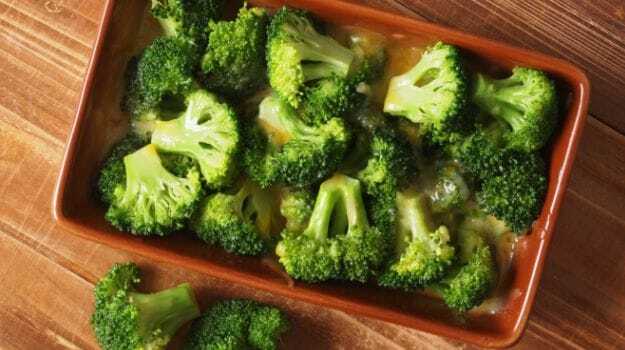 How To Eat Broccoli Stalks: 7 Ways To Use Them To Make Your Meals More Nutritious!